Policy paper by Alison Gillwald, Onkokame Mothobi and Broc Rademan. 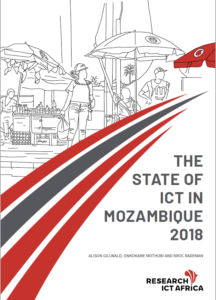 Mozambique has a challenging path ahead if it is to realise the full potential of the ICT sector in developing its economy and to make progress on the information communication technology targets that are intended as enabling the achievement of the United Nations’ Sustainable Development Goals. The telecommunications market is structured around four vertically-integrated operators, including fixed-line incumbent, Telecomunicações de Moçambique (TDM). Competition in the mobile market increased following the launch of the third player Movitel, a joint venture between the Viettel Group of Vietnam and Mozambique’s SPI (Management and Investment), a holding company of Mozambique’s ruling Frelimo Party, in 2011. This ended the duopoly of Vodacom Mozambique and mCel, the incumbent mobile subsidiary of the national operator, TDM. Mozambique’s communication market structure is rare in Africa in that it has inter-platform competition in most of the provincial capitals, with TV Cabo offering an alternative to mobile broadband. TV Cabo offers no voice services, as its telecommunications services are licensed as an Internet service provider. Internet packages offered by TV Cabo are priced higher than mobile operators, but they offer much higher bandwidth and data caps. Competition in the mobile market increased following the launch of the third player Movitel, a joint venture between the Viettel Group of Vietnam and Mozambique’s SPI (Management and Investment), a holding company of Mozambique’s ruling Frelimo Party, in 2011. This ended the duopoly of Vodacom Mozambique and mCel, the incumbent mobile subsidiary of the national operator, TDM. According to the 2017 After Access Surveyconducted across 16 countries in Global South, Mozambique had among the lowest mobile phone and Internet penetration rates, 30% and 10%, respectively. Overall the telecommunications revenue has been declining as a result of the drop in the fixed line revenue. The mobile sector revenue declined from 2014 which may be attributable to pricing pressure from the third entrant, Movitel, in the saturated voice market. Operators in Mozambique have not transitioned to generating significant revenues from data as they have in more mature mobile data markets. The low-cost service strategy adopted by the third entrant, Movitel, helped it to win a significant revenue share, primarily from mCel, gaining about 11 percent in 2012 and subsequently increasing its revenue share to 27 percent in 2016, leaving mCel with only 21 percent of the total mobile revenue. Vodacom’s data revenue grew by 31 percent and data customers increased by 63.6 percent, reaching MZN3.7 million, but this is off a very low base and voice revenues remain its dominant source of revenues, unlike in the South Africa market where revenues from data now exceed its voice revenues. The 1GB data pricing information from the RAMP shows that fierce pricing competition among operators has resulted in low data prices. Among 49 African countries, Research ICT Africa ranks Mozambique third above Ghana, Kenya and South Africa. Gender Gap:Mozambique has the lowest mobile phone adoption level (50%) and the second highest gender disparity at 36 percent after Rwanda’s 38 percent. More than half of all men (50%) have mobile phones as compared to only 32 percent of women. Rural-Urban divide:Rural inhabitants are mostly subsistence farmers and despite Movitel’s rural strategy, the After Access Survey shows that very few households in rural areas have access to telecommunication services. Affordability:Affordability of devices and e-literacy are the main barriers to Internet access in Mozambique. Of those who are offline (90%), 76 percent stated that they do not have devices to access the Internet, while 14 percent stated they do not know how to use the Internet. When asked why they do not have a mobile phone, 78 percent of the respondents stated that they cannot afford a mobile phone. A substantial proportion (36%) of those who do not have mobile phones reported lack of electricity as the main reason why they do not have mobile phones. Lack of energy:Half of the Mozambican population has no access to electricity, compared to only six percent in South Africa and 33 percent in Nigeria. Rural households, which are mostly either not connected to the main electricity grid or have no electricity at all, are less likely to have telecommunication services than urban households. Financial inclusion:Access to formal financial services is extremely limited in Mozambique. The majority of rural area inhabitants do not have access to banking facilities and are normally left out of the formal banking services. Mozambican authorities passed legislation in 2004 allowing mobile operators to partner with financial institution to provide mobile money services. As a result, mobile money was launched in Mozambique in 2011 by mCel through its sister company Carteira Movel (branded mKesh). Vodacom later launched its mobile money services, M-Pesa, in 2013. As of 2016, there were about three million mobile money subscribers in Mozambique. The Survey shows that five out of ten mobile phone users use mobile money in Mozambique (see Figure 14).Mobile money is more common in urban areas than in rural areas, as 63 percent of mobile phone users in urban areas use mobile money and only 29 percent in rural areas. This research was made possible by the support received from Canada’s International Development Research Centre. 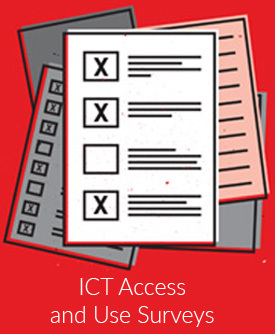 The nationally-representative ICT access and use survey referenced in this report forms part of a survey of 20 countries in the Global South (10 in Africa) that canvasses barriers to access from those not connected, as well as the challenges to optimal Internet usage even where there is coverage or the individual has connectivity (see After Access 2017). The survey was supported by the INCM. Special thanks to the INCM for the assistance in validating the supply side data used in this report , especially Joaquim Zingoda. The fieldwork was led by Francisco Mabila and supported by Jan Schenk of iKapadata. Thanks to Anri van der Spuy for editing earlier versions of the report and providing comments. Thanks to Naila Govan-Vassen for assistance with the reports summary highlights.